Is Bradley Cooper’s Ego Too Big For His Own Good, Pushing Away Hollywood Friends? 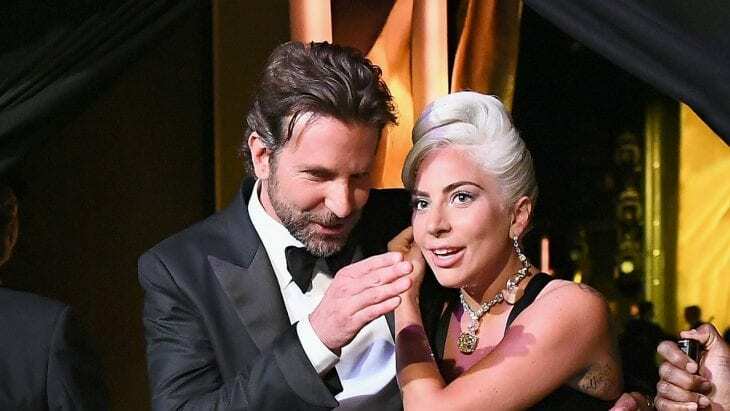 A tabloid this week published an article that says that Bradley Cooper’s ego has been too big for his own good after the big success of A Star Is Born. The magazine also said that in turn, the actor is pushing his Hollywood friends away. This whole piece is not true; Gossip Cop will get to the truth. “Bradley: Party Of One” is the headline of the latest issue of OK! The article with the eye-catching headline is all about how Bradley Cooper has changed for the worse because of the huge success of his new movie. According to a source he stopped hanging out with friends like Michael Fassbender and Leonardo DiCaprio. This obviously fake source goes to say that Bradley expected to win a couple of Oscars and that turned people away. The source also said that Bradley has been with his family most of the time lately and that he wants to reach out to some of his old friends and to stop taking himself so seriously. The article doesn’t really have and definite proof for anything. The best example the tabloid has given us is that Bradley is spending more time with his girlfriend and their child than he is with his Hollywood buddies. Even if that’s true it doesn’t support any of their claims. We should mention that Bradley was on the host committee of the 17th annual “Night Before” party last month. Leonardo joined the party since he’s also a member of the host committee, and it’s held just before the Oscars. Cooper was also seen spending time with Freddie Prinze Jr. and earlier this month he was at Jennifer Garner’s house. So him pushing away his Hollywood friends is just false. The claim that he expected a couple of Oscars to be given to him is also false since last month he said “I was not surprised, I’m never surprised about not getting nominated” because he was snubbed for the nomination of Best Director. Additionally, Gossip Cop has a source of our own that says that nothing has changed and that any of his friends would say the same. Home » Celebs » Is Bradley Cooper’s Ego Too Big For His Own Good, Pushing Away Hollywood Friends?